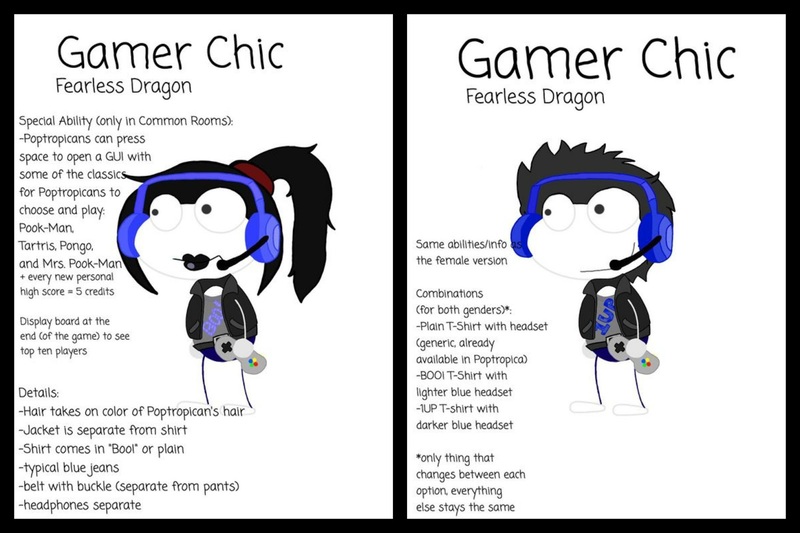 Poptropica help for the awesome. All about Scarlett the Spy! The Adventures of Curious Bee: The Official Guide! Hey! Long time no see. New look? Cool. Been on any adventures lately? Ha! Sounds like you had fun. How’s the blog? Don’t change the subject! We’re talking about the blog, not your weird taste in girls. Rough Fang: Hey, don’t you DARE talk about K’llyctwana like that. OK WHATEVER! Just…we need to get back to updating the blog. Rough Fang: OK look, if you’re so busy, why don’t you ask someone to help run the blog with you? I mean, I’m clearly way too irresponsible to do ANYTHING. Rough Fang: See? You should try using your brain. Well you should try dating someone of your own SPECIES. *sigh* My therapist has his work cut out for him. Anyway, that’s basically it. I’m having a bit of trouble keeping this blog updated, especially since school just started picking up. 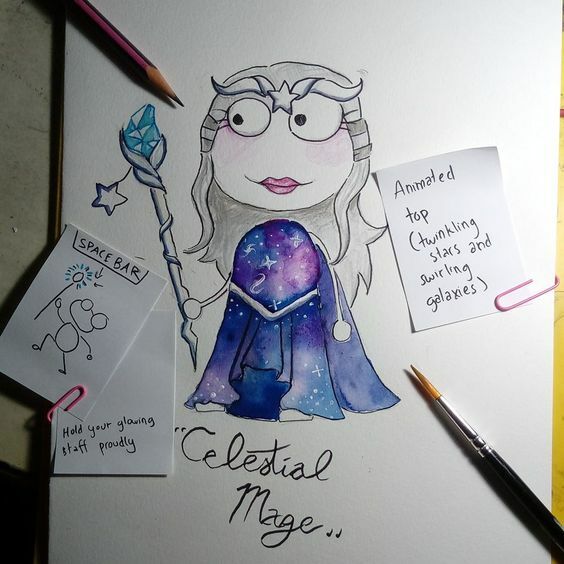 So I’ll be inviting another author to this blog. I haven’t selected anyone yet, but if you’re interested, just leave a comment below. Thanks for supporting this blog! Ah, Valentine’s Day is approaching and LOVE ISN’T REAL IS IN THE AIR! So what does Poptropica have in store for us? THIS THING. Oh wait, that picture provides absolutely no new information. Well basically to celebrate Valentine’s day, the creators have organized a contest. Just go to the special Valentine’s Day photo booth on Home Island and create a Valentine’s day pic! Post the pic on Twitter or Instagram with the hashtag #PoptropicaLove or post it to the Poptropica Facebook page and you stand the chance to win…DRUM ROLL PLEASE! A FREE ONE-MONTH POPTROPICA MEMBERSHIP! So GO MY CHILDREN! GO…do that thing I just said. I don’t know, I mean, it says “runners-up” is correct but it just sounds weird! Are you sure it’s not “runner-ups”? 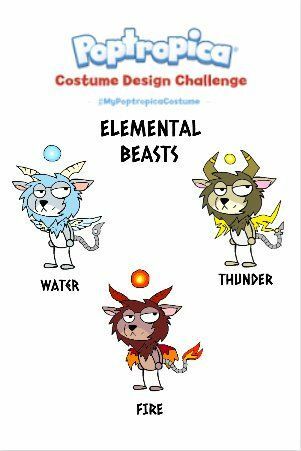 WELL ANYWAY, if you recall, last week you guys got to vote for the ten costumes you guys wanted to see in the Poptropica Store. ….the votes have been counted…. THAT THE RESULTS WILL BE REVEALED AFTER THIS COMMERCIAL BREAK! Dude I’m KIDDING. Here are the winners. 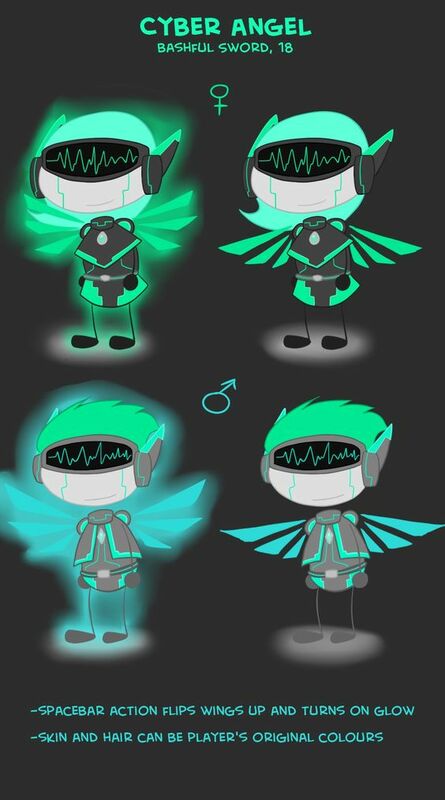 Personally, my favorite is probably Bashful Sword’s Cyber Angel costume. JUST LOOK AT IT. IT’S SO FRICKIN’ COOL. I AM SO GLAD THIS MADE IT! 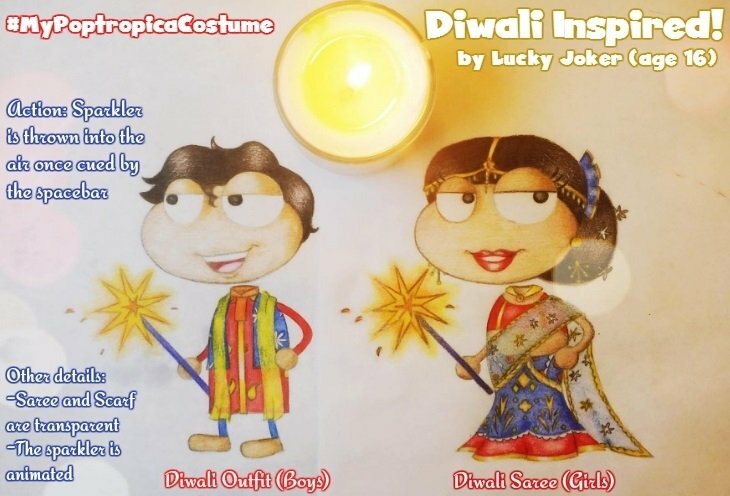 The Creators have finally announced the winners of the #MyPoptropicaCostume contest! Now in case you guys have forgotten, here’s a real quick recap. 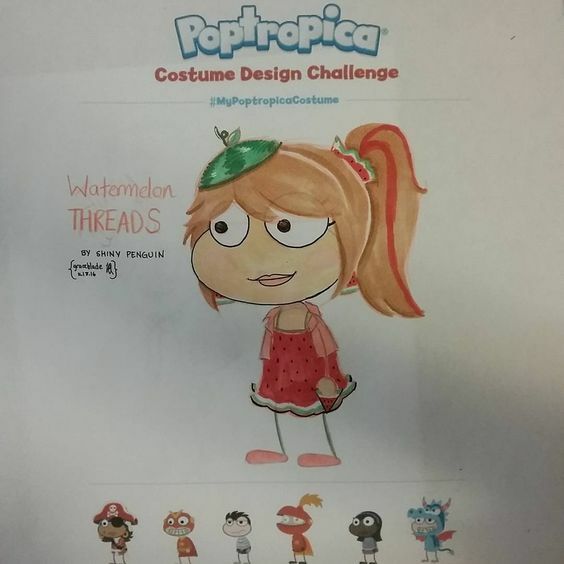 Last year Poptropica held a contest where players could design their own Poptropican costumes and submit them, for a chance to have their design featured as an actual costume in the Poptropica Store. 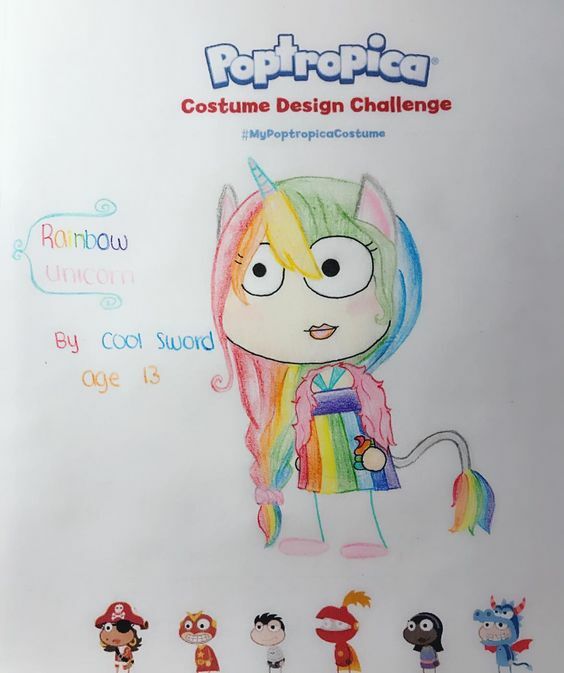 There will be two grand prize winners, each of whom will receive a 6 month Poptropica membership subscription, have their designs sold in the Poptropica Store and worn by a Poptropican on Home Island. Got it? I don’t care. HERE ARE THE WINNING DESIGNS! First up is the “Ocean Princess” costume, which is a beautiful mermaid costume and also the last thing you’d expect to be designed by a Poptropican named “Creepy Peanut”. Honestly, I’m surprised Poptropica has never done anything regarding mermaids before. I mean we’ve got like four different robot designs, two different swamp monsters and a baby sasquatch that rides around on your head but not ONE mermaid? Next we have Speedy Toe’s Hip-Hop Boy design, which is pretty cool. I like that Speedy Toe included the Space Bar Action, that’s really neat. Well, those were our two contest winners guys, and anyone who isn’t these two people have failed miserably right? Ha ha, WRONG! Aside from the two grand prize winners, there will also be TEN RUNNERS-UP! (Runners-up? Runner-ups?) And YOU, the viewers, get to decide who lives, and who DIES! ENTER THE VOTING STAGE! TWENTY COSTUMES ENTER! TEN COSTUMES LEAVE! 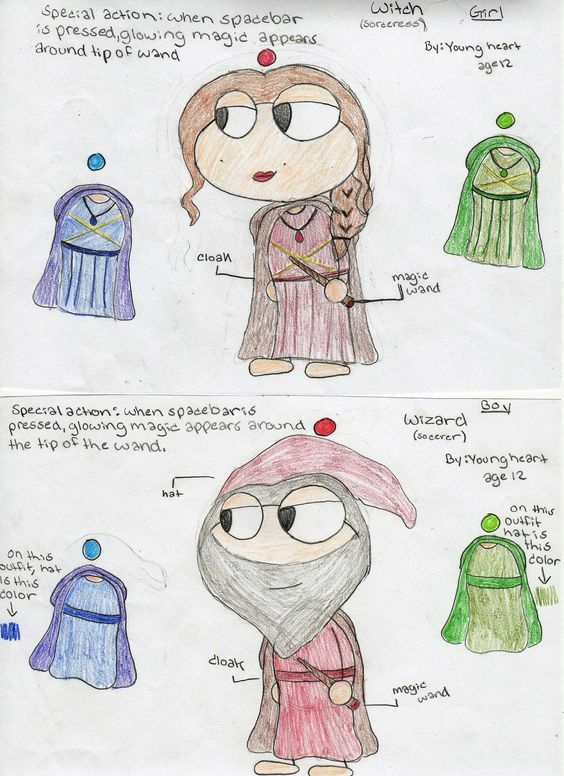 So check out the individual costumes and vote on them over at the Poptropica Creators’ Blog! WOW. OK. This is happening. What the heck bro?! Rough Fang: You haven’t blogged in TWO WEEKS! WHAT DO YOU HAVE TO SAY FOR YOURSELF?!? Well sorry. But I’ve been busy with school and stuff. It isn’t easy to operate this blog all by myse-WAIT A GOSHDARN SECOND. AN IDEA SEED HAS BEEN PLANTED IN MY BRAIN FARM. IT’S GROWING. IT’S GROWING. IT’S GROWING. No wait it’s dead. What was I talking about? Whatever. Since nothing’s really been going on lately, I thought I might as well take the moment to bring you guys an update on what I’m planning to do for the blog this year. Yes I’m finally gonna started on this thing I’ve been planning since forever. For those of you who don’t know this story is supposed to take place on the island of Poptropolis centuries before it sank. It centers on 8 young heroes, one from each tribe, who must unite the tribes in order to defeat a much bigger threat and bring peace to the island. I released a sort of sneak peek back during my 12 days of Christmas so you can check it out if you want. I’ll keep you guys updated on the story’s progress. I’ll be doing a lot more island reviews in the coming year. I’ve had a lot of fun revisiting some of the older islands and sharing my thoughts on them. This year, I really wanna get into writing more, so I’ll probably write more Poptropica short stories if I ever get the idea for them. OK, so you all should know by now that the Creators have been working on a “brand new Poptropica”. But for the most part, they’ve been pretty secretive about it. Well, recently the Creators have announced the official name for this new project! Poptropica Worlds! And it’s coming Spring 2017! Can someone please tell me when that is because it’s always summer here. 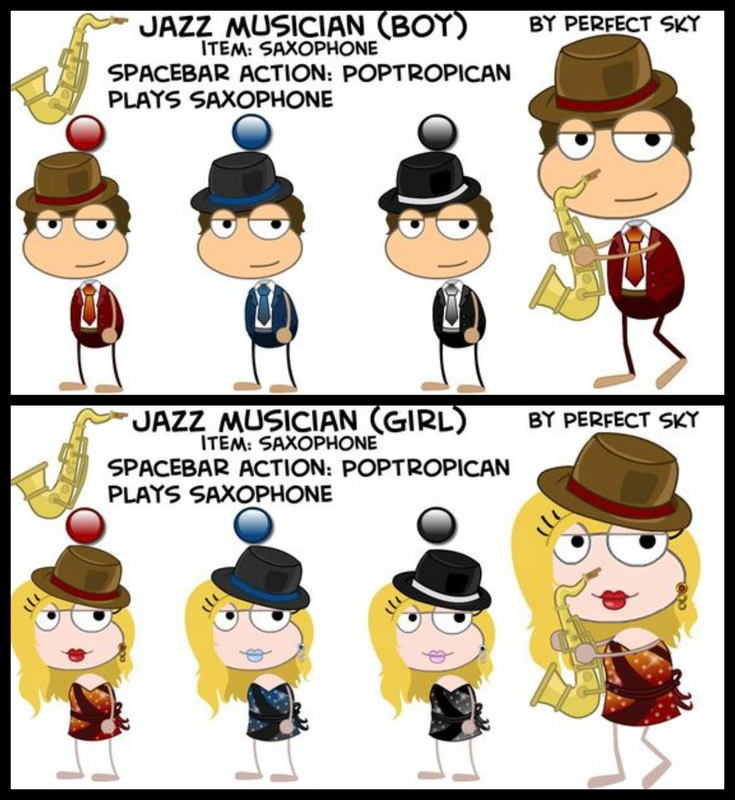 One account for everything Poptropica! WHAT IS THAT?!? ZOOM IN! ZOOM IN NOW! Rough Fang: Human, what are those things? Rough Fang: What are they doing on that Poptropican’s hand? Rough Fang: ……I’m gonna go……look at my hands for a while………. Yeah….I’m….I’m gonna do that too. Ah Time Tangled Island. This brings me back. GET IT?!? 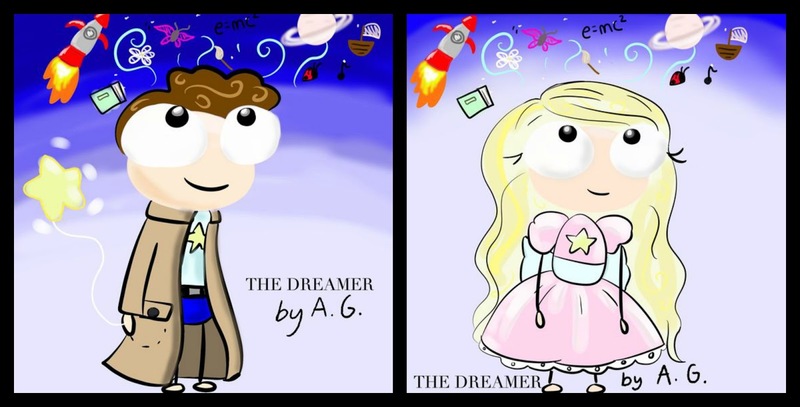 BECAUSE TIME TRAVEL. And he never finds his way back. The end. Anyway, Time Tangled Island! Previously called Time Twisted Island, as I learned from the gladiator standing on top of the roof of a tourism center (wow that seems a lot less reliable a source when I say it out loud), this was one of the earliest islands in Poptropica history. I played this all the way back in 2009, so it really brings back a lot of memories. And seeing as how Time Tangled Island is one of the islands 0f the month for January, I figured I might as well do a review on it. Since this isn’t a Halloween thing, I won’t be sticking to the formula of the Halloween reviews. Instead I’m going to divide this review into three sections. Plot, where I’ll examine the storyline of the island, Gameplay, where I’ll look through all the minigames and puzzles and such, and lastly Aesthetics, where I’ll discuss the design aspects of the island. Got it? Good. Let’s get started! Ah Time Tangled Island. This brings me ba-whoa. Deja vu. OK, so the plot is fairly simple. The scientist Professor Pendulum has created a time machine and left it in the hands of his two assistants. But a malfunction has caused important artifacts from ancient history to be transported to the wrong time periods. It’s up to the player to find these artifacts and return them to their rightful place in history before it somehow causes the end of the world. If only I had a sign of what to do-oh yeah that’ll do. And yeah. That’s about it. Like I said, the plot’s pretty simple, but given that this was the third ever island released, it’s hard for me to be mad about it. The two islands released before this (Early Poptropica and Shark Tooth) were just as simplistic. That was just typical of Poptropica islands at the time. The gameplay in this island is almost as simple as the plot. I’ll give it credit for including the addition of the time travel watch. That’s a neat change in formula, and it allows the player access to many different locations. But aside from that, it’s pretty much just a series of fetch quests. Get the artifact from time period X and return it to time period Y. Get the artifact from time period Y and return it to time period Z. And so on and so forth. It’s arguably even simpler than Early Poptropica or Shark Tooth because there isn’t even really a linear sequence of events. Most of the artifacts can be returned in any order. This certainly is puzzling. It’ll be a while before I can piece together the solution. THIRD PUZZLE PUN. Occasionally they’ll throw in a few puzzles that you’ll need to complete in order to get the artifacts, and some artifacts can only be accessed after getting certain items but most of it is pretty basic for Poptropica. Again, I can’t really fault this island for it because it was one of the first islands. Even though we consider all this stuff to be basic NOW, this was actually one of the islands that made this stuff basic to begin with. Now let’s get to the design aspect. This island is REALLY cool looking. The whole time travel aspect lends itself to many creative possibilities. Unlike the past two, the player isn’t restricted to one island. Nice temple. But Mythology Island’s got a better one. Over the course of this quest the player visits a bunch of different locations and people and items from a multitude of time periods. You can go from meeting oracles in Ancient Greece to dressing like vikings to witnessing the construction of The Great Wall of China and it’s just AMAZING! Nice Thomas Edison. But Mystery Train Island’s got a better one. And of course, I can’t review a post-beta island without mentioning the soundtrack. Every time period has its own music that perfectly fits the environment. The mere fact that they managed to give each time period its own background music is pretty impressive. Nice Himalayan mountain peak. But Cryptids Island’s got a better one. And give the island credit where it’s due, this is something that had never been done before in Poptropica. Sure, Early Poptropica Island had diverse environments but up until this island, nothing of this scale had been done before. RESPECT. Someone get me Svadilfari, I’m about to play the ULTIMATE game of Whack-A-Mole. I especially love the design of the good future. It’s really creative, and I used to go back to that place all the time just to admire the design. Now with the cool soundtrack, it’s even BETTER. The Viking Costume easter egg is pretty cool. The Glider and the Aztec Warrior Mask used to be two of my favorite wearable items. Ah Time Tangled Island. This brings me-OK something weird’s definitely going on here. This island is simple. It’s very very simple. But as I’ve said time and again in this review, that’s because it was one of the earliest. It happened while Poptropica was still finding its feet. Aside from the time-travel watch, the gameplay’s pretty standard for a Poptropica island, but that’s because it was one of the islands that SET that standard. And, I have to appreciate this island purely based on the incredible creativity and effort that went into designing all the different time periods and environments. Also bonus points for the exploding crab. So that was my review for Time Tangled Island! Did you guys like it? Tell me what island you guys want me to review next! Ah Time Tangled Island. This bri-AGH MAKE IT STOP!!! Have a Happy Poptropica Thanksgiving! Super Thunder (@IsabelleAmaya1) is the founder of Super Thunder's Blog. She loves Poptropica and all of the Poptropicans, even though she's currently in trouble and not allowed to go on her laptop.